Replacement papers and expansion packs for Judy Niemeyer patterns. Creative Grid templates designed by Judy & Brad Niemeyer for their patterns. 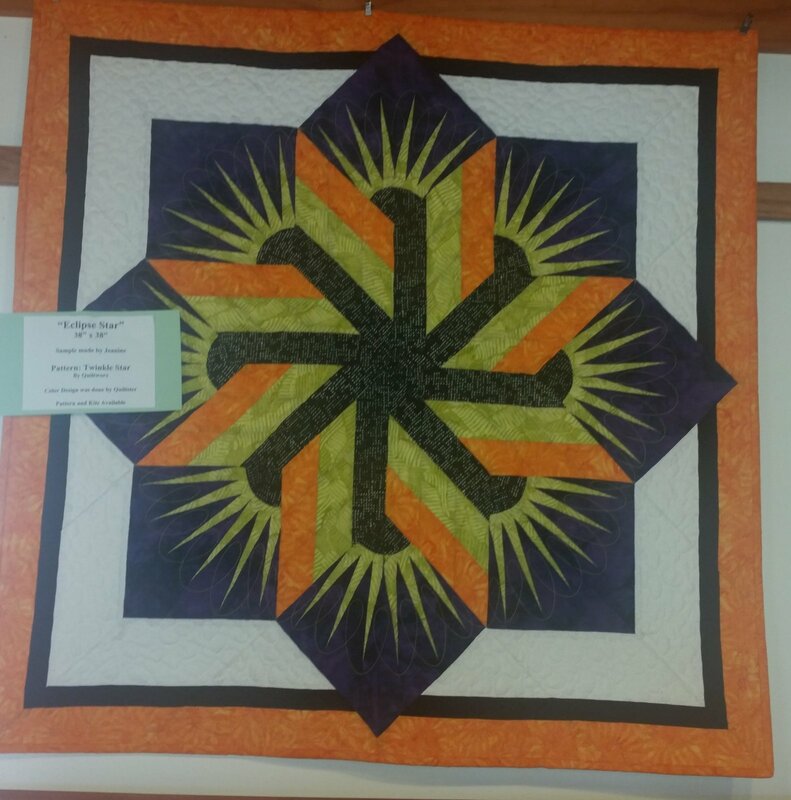 Dinner Plate Dahlia Queen from Judy Niemeyer measures 99" x 99". 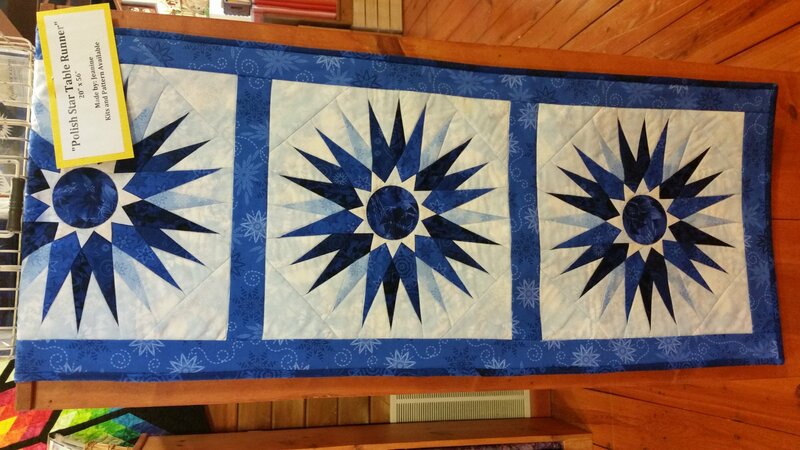 Eclipse Star Kit measures 38" x 38". Made by Jeanine. My Two Baby Sisters Placemats Kit contains fabric and pattern for (4) 12" x 19". Made by Jeanine. 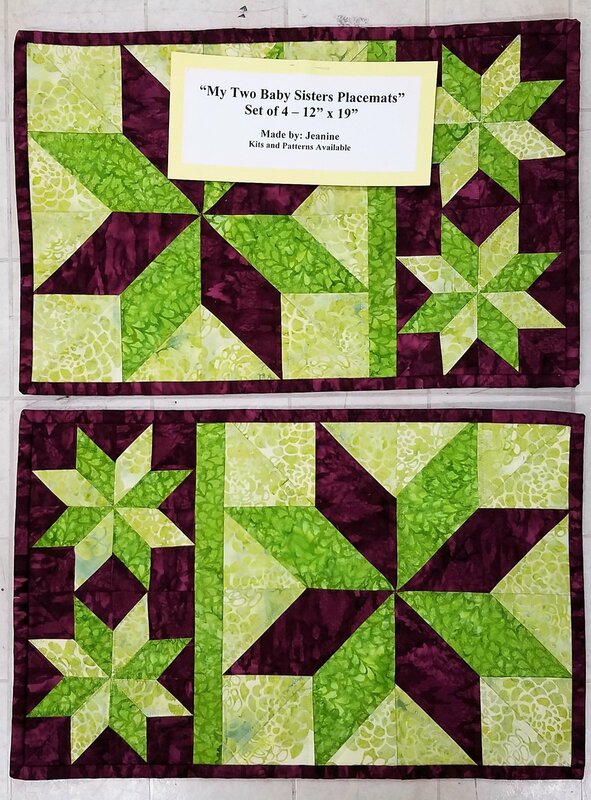 Polish Star Table Runner Kit measures 20" x 56". Pattern included in kit. Made by Jeanine. Seasonal TR Spring Kit measures 19" x 45". Pattern not included.